Based on our bestselling US convertible car seat, Radian 5 provides ultimate protection with extended rear facing capacity and longer 5 point harness use when forward facing. Suitable from birth to 25kg rear facing and 9-25kg forward facing, Radian 5 gives you the option to choose what’s right for you and your family at a time to suit you. No longer will you be governed by the standard milestones and capacity limits! Radian 5 has a 5 point harness to 25kg. 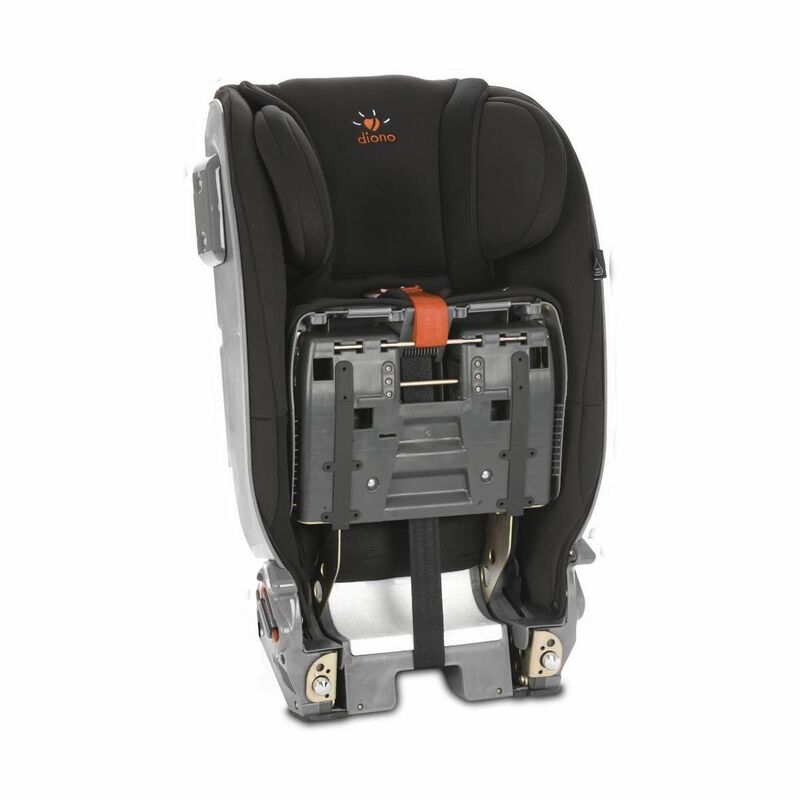 Plus with a unique steel frame, exclusive fold mechanism and industry leading Lifetime Warranty, it is the complete all-in-one package – true back seat magic. With a higher weight capacity, Radian 5 is the only seat which is suitable from birth, offers extended rear facing and converts to a forward facing car seat with a 5 point harness to 25kg. The unique steel frame means Radian 5 is super strong to resist crash forces and offer the most amount of protection. Metal reinforcements and the best EPP foam combine to provide the ultimate side impact protection, whilst the straight side walls ensure your child stays contained in the seat during a crash. The narrow design takes up less space in the back because it’s not necessary to have thick plastic sidewalls. For some larger cars this means 3 car seats can be installed in the vehicle. With a rear-facing capacity up to 25kg, Radian 5 allows babies to travel in the safest position for as long as possible. 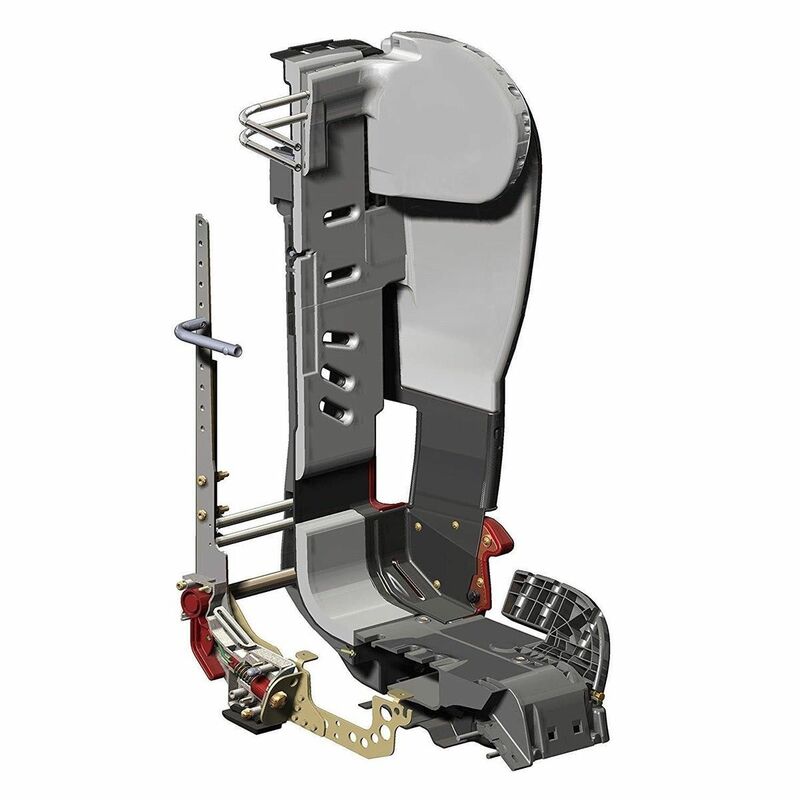 Extended rear facing can be up to 5 times safer as it protects and supports the neck in the event of a collision. 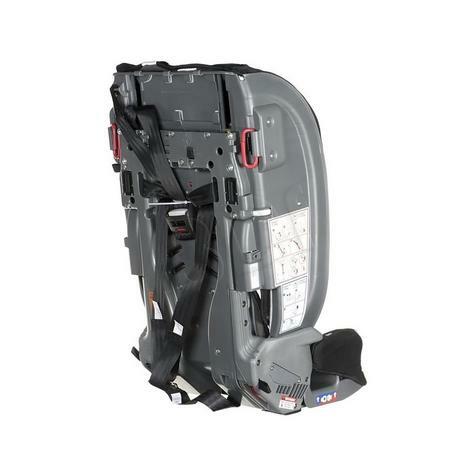 A rear facing car seat can also be more comfortable giving little ones somewhere to rest their legs. As your child grows and reaches each milestone, you can decide the right time to turn forward-facing. 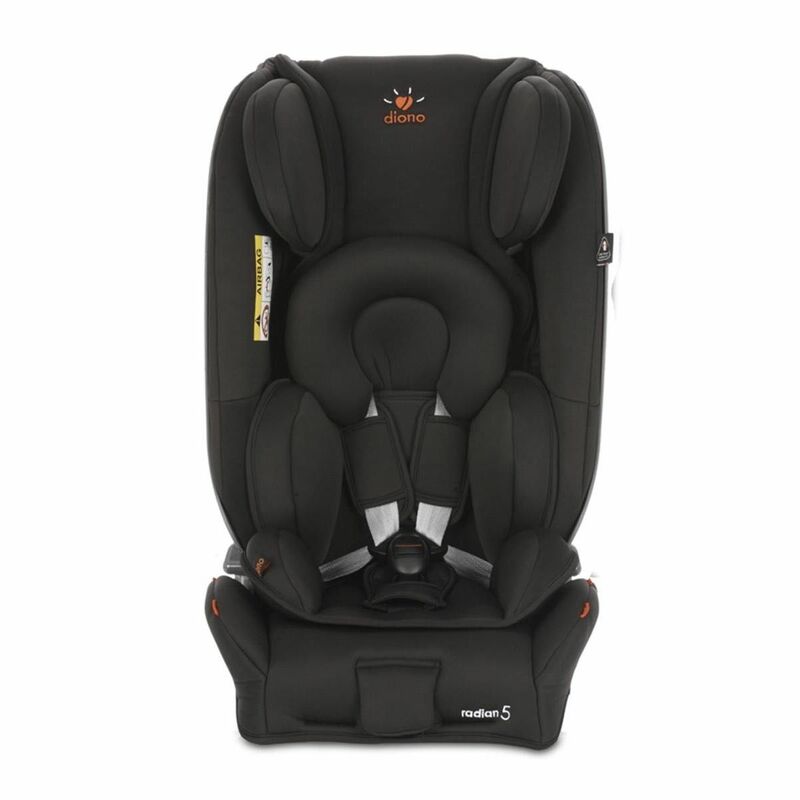 When you do transition from rear facing, Radian 5 will keep little ones in a 5-point harness up to 25kg. Longer 5 point harness use prevents any seat belt escapes and misalignment when little ones are too young to understand the importance of the seatbelt. The convertible forward and rear facing design of Radian 5 gives complete flexibility so the seat can be utilised in the best way that suits you and your lifestyle. With plush fabrics, memory foam padding and a longer seat base, Radian 5 ensures comfort on long trips as well as short journeys. Radian 5 also features removable washable covers and folds flat for convenience – another unique feature! 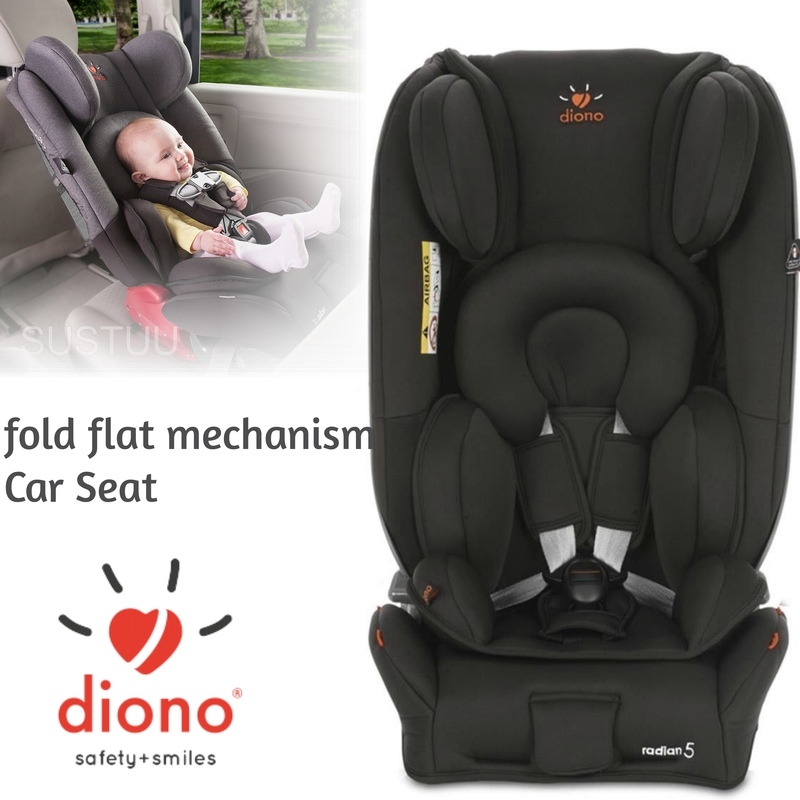 Radian 5 is also eligible for the Diono Lifetime Warranty which provides you with a guarantee against any manufacturing defects for the entire life of the seat. Registration is simple and free. The complete all-in-one package, Radian 5 is the new revolution which provides optimal safety and functionality as well as complete convenience. 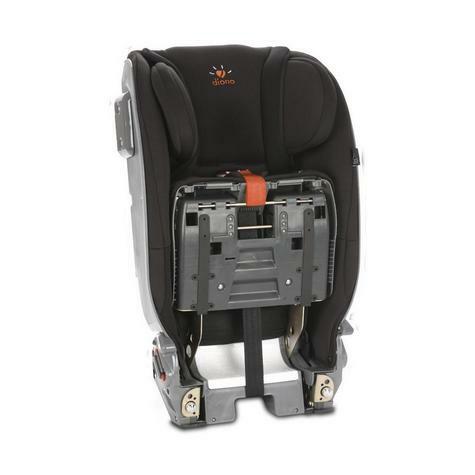 Expandable sides and extendable headrest to grow with thechild as they reach each milestone. Buy with Confidence from a diono Authorised Dealer and All Purchases come with a VAT Receipt.